Don't know about you, but the likes of me always enjoy a homey experience. Plus, when the top tech giant is ready to serve you with its technology, it sharpens your expectation from the intelligent products you implanted in your home. 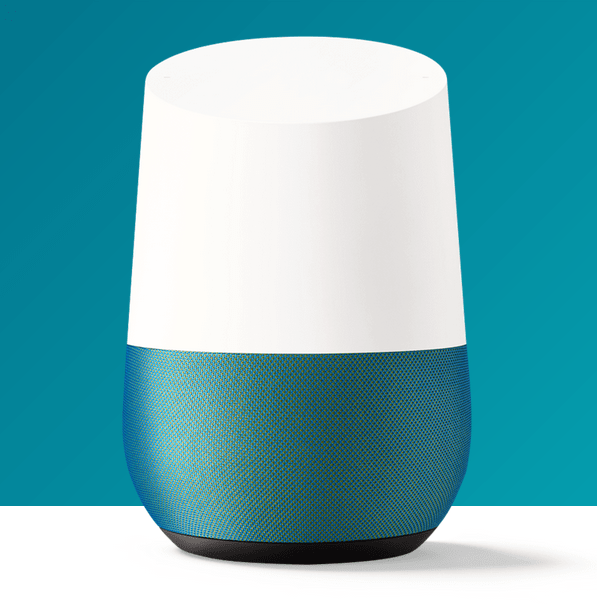 Google home, has recently released an update to its Android application and that announces, you will soon be able to experience multiple user access. Initially, the Discover card flashed the announcement boasting of a customized experience for multiple people present in your home but later, it was disabled. Tagging the phenomena as a teaser, numerous third party sources have already covered it, speculating about its usability. While we love Google Assistant on our phone, Google home seems to be an underdeveloped newbie trying to harbor its growth. Google home can't make calls, read texts or fix event schedules and that is where it falls behind the league. Although a recent report in business insider asserted that the magic instrument will support calling features, no official announcement has been made yet. Although for a short time, the announcement hints towards a trusted voice recognition, that is currently used in Android smartphones. Further, it opens a range of possibilities to integrate the device with your android gadget to squeeze out the best of Google, made with AI. Again, what we need, is an official information to rave over its specifications. 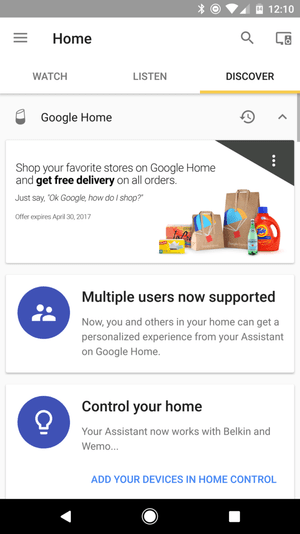 Also, Google home coincidentally has sent out official emails to its subscribers saying new home automation partners are now available with Google Assistant, featuring on Android. The partner lists include INSIGNIA, tp-link, LIFX, Wink and many other significant names that can instigate us to believe in their humungous deals and upcoming feature updates in today's weakling. Further, the email talks about two more features known as "See your home in a new light" and "Plug and Play". Google home can dim the lights, has to be the smart ones, or even change its color as per your instruction. Also, you can use your Google home to control electronics with wireless plug-ins and switches that synchronize with Google Home. Available in the US for now, we expect it to soon create its market in India.